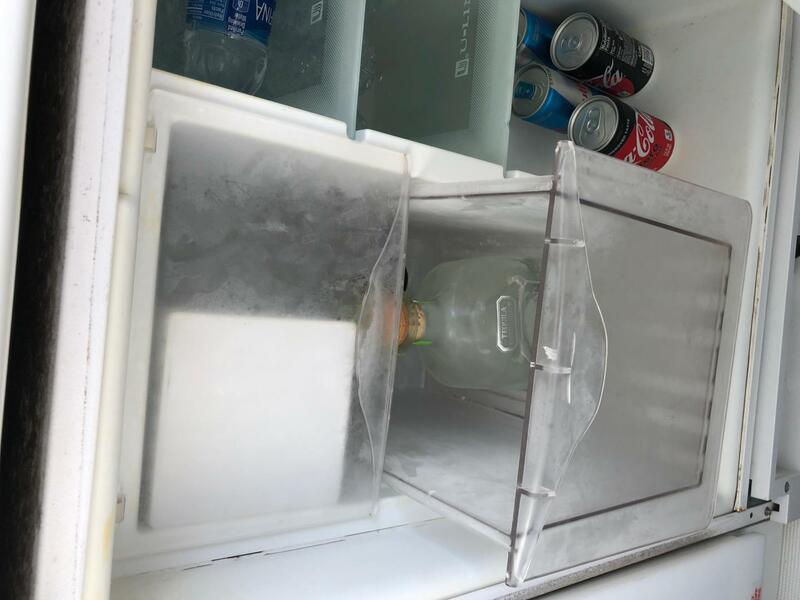 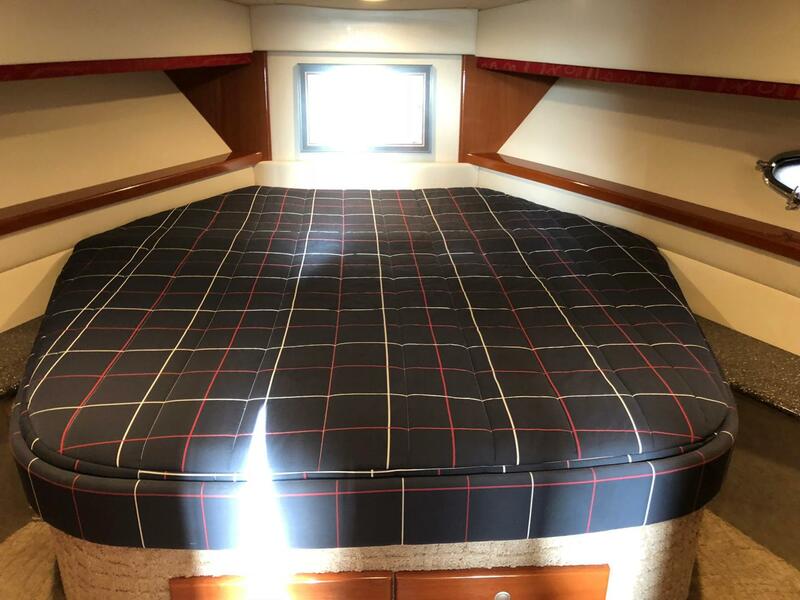 As one might expect given her undercover berth and additional storage cover, this vessel was found in extraordinary condition. 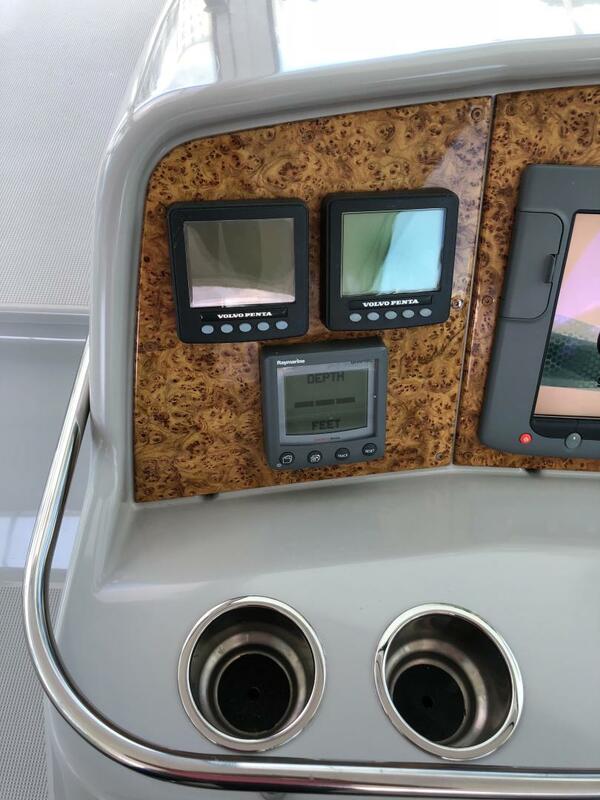 The Imron Flagship Designer hull exhibits a deep mirror finish that's difficult to capture in photographs and impossible to ignore in person. 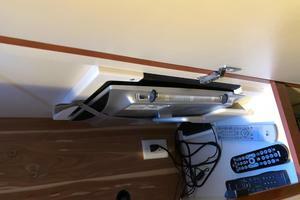 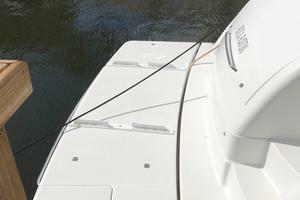 All access hatches and storage trunks are clean and dry with supple seals and no residue in the gunnel's. 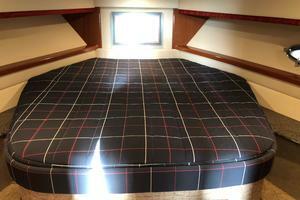 All canvas is in excellent condition and all glass is clear and crease free. 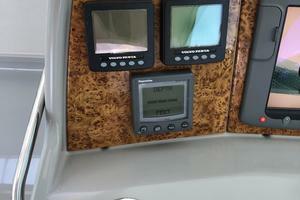 There is no rubrail damage or dock rash. 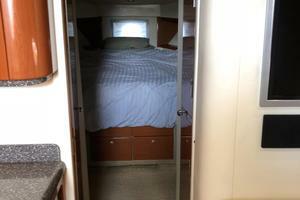 She is pulled yearly for inspection with last service in April of this year. 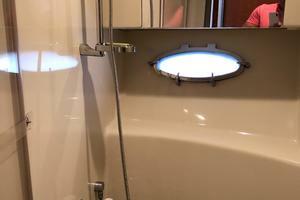 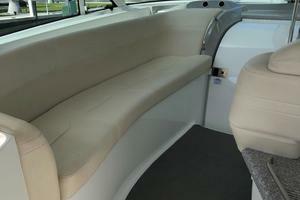 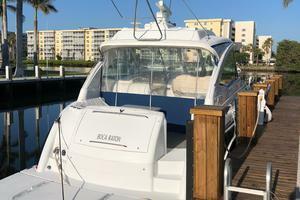 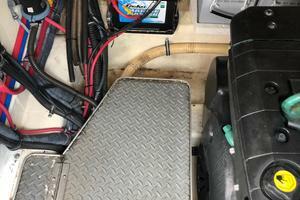 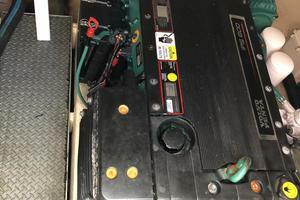 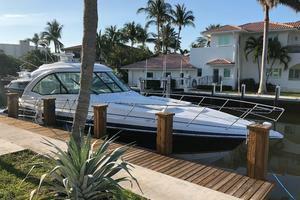 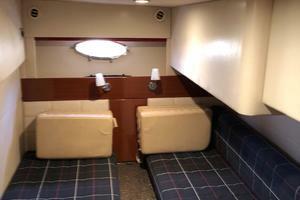 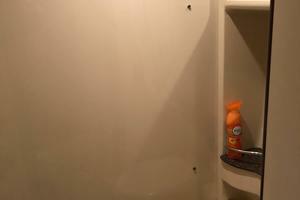 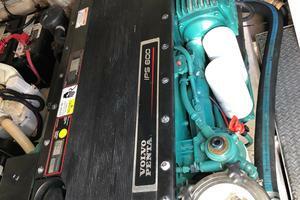 The bottom and running gear were found issue free, subsequently cleaned, and the vessel detailed and waxed. 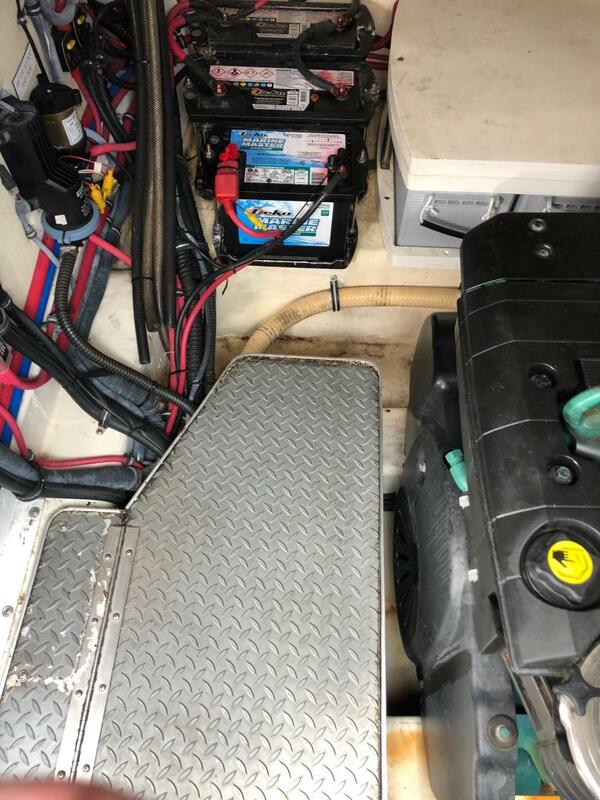 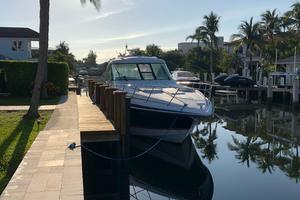 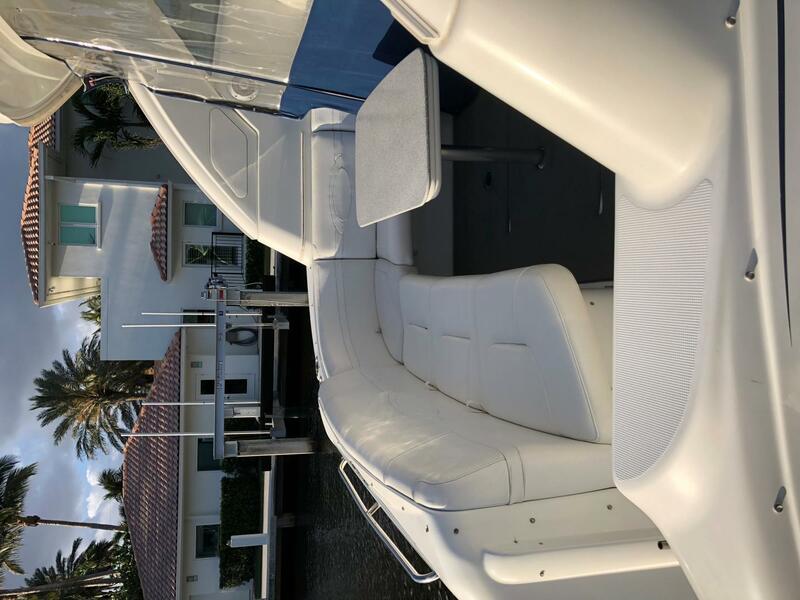 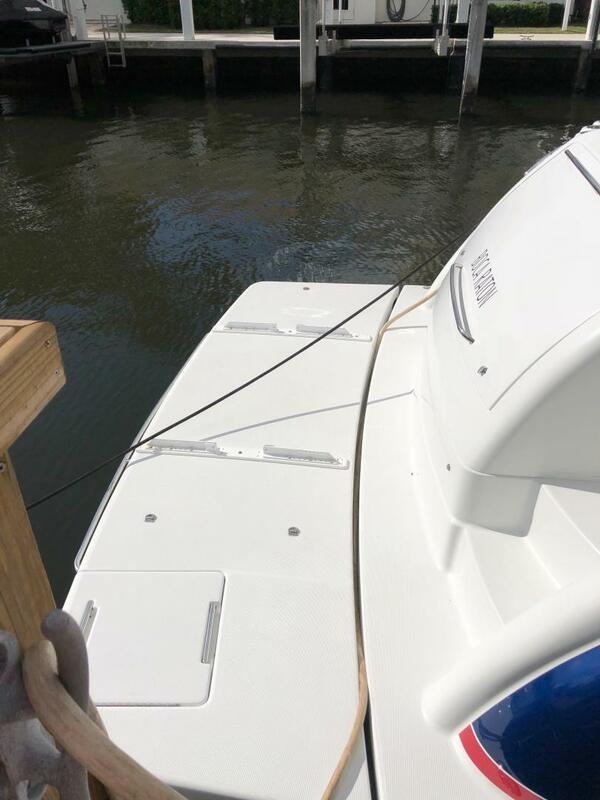 The remotely controlled hydraulic swim platform offers access to the fender and line storage trunk, Glendinning 50 amp shore service, city water inlet, cable inlet, and engine room. 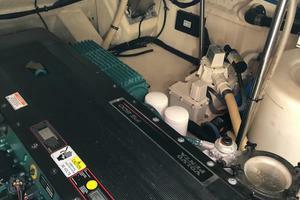 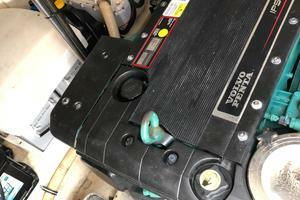 Beyond the obvious handling benefits afforded by the Volvo IPS drives, this configuration offers all around access to ships systems and lessens total weight by more than 1000 lbs. 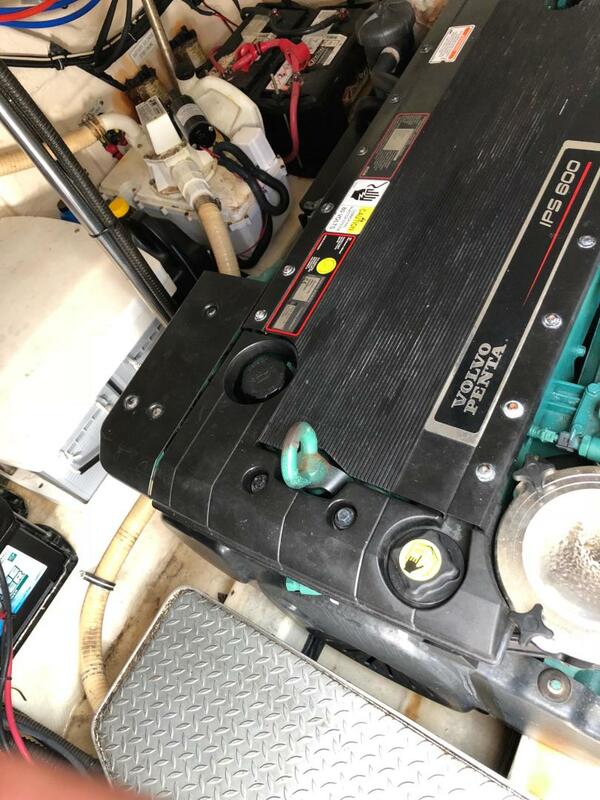 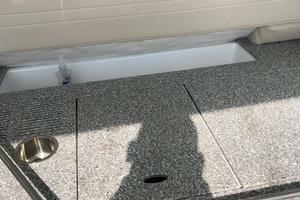 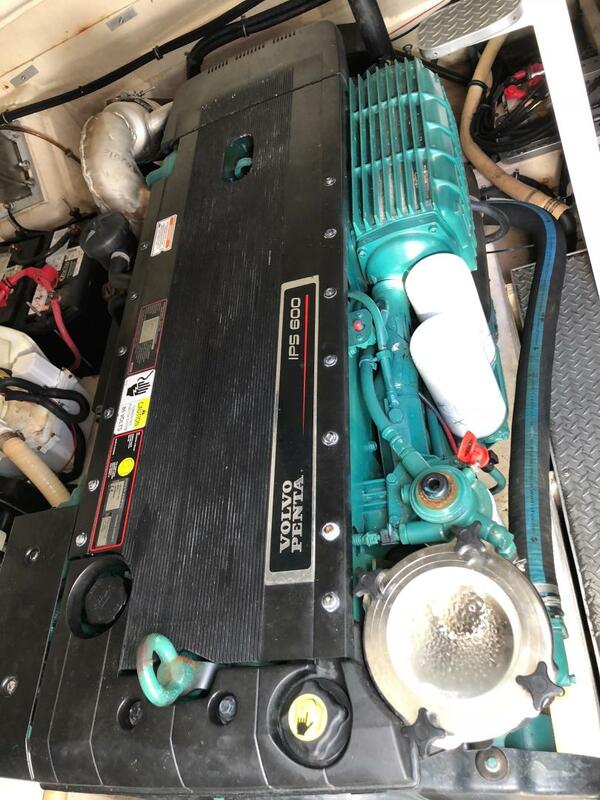 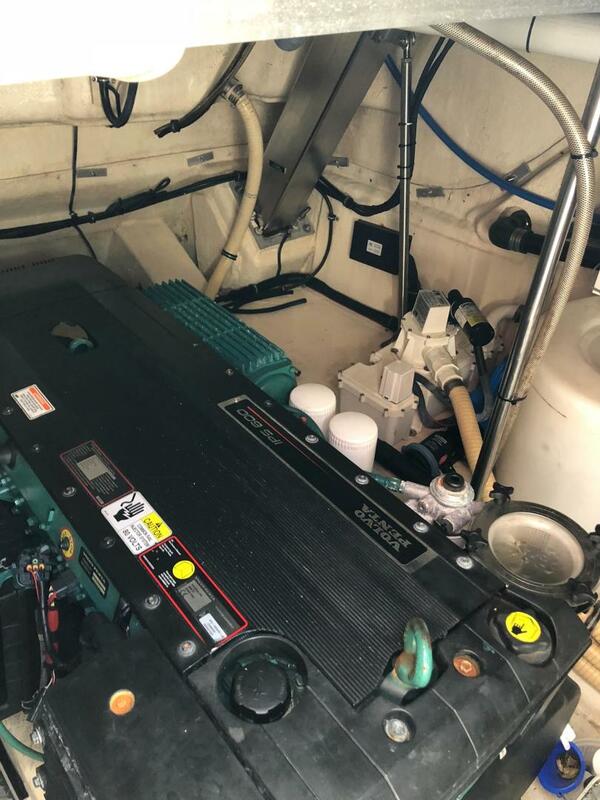 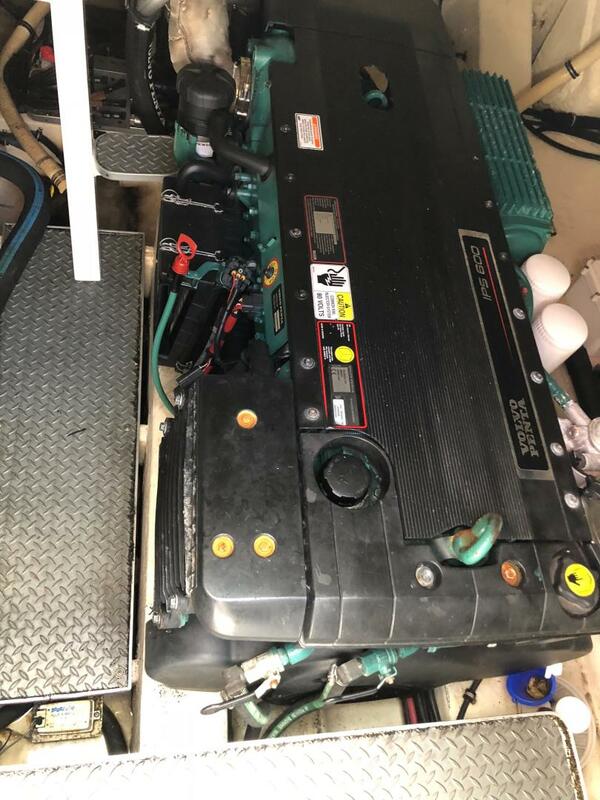 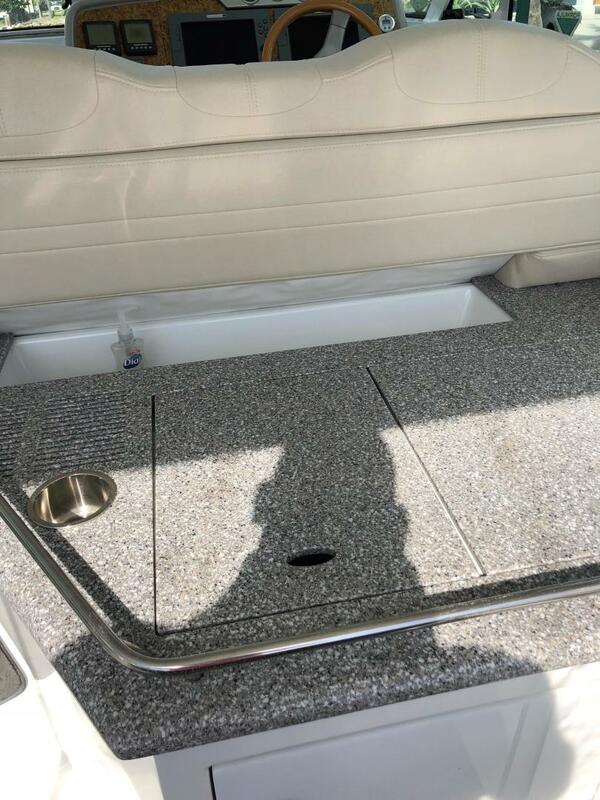 This area was found very clean and dry with a small box of spares and dedicated storage racks for the outboard gas grill and two additional aft anchors. 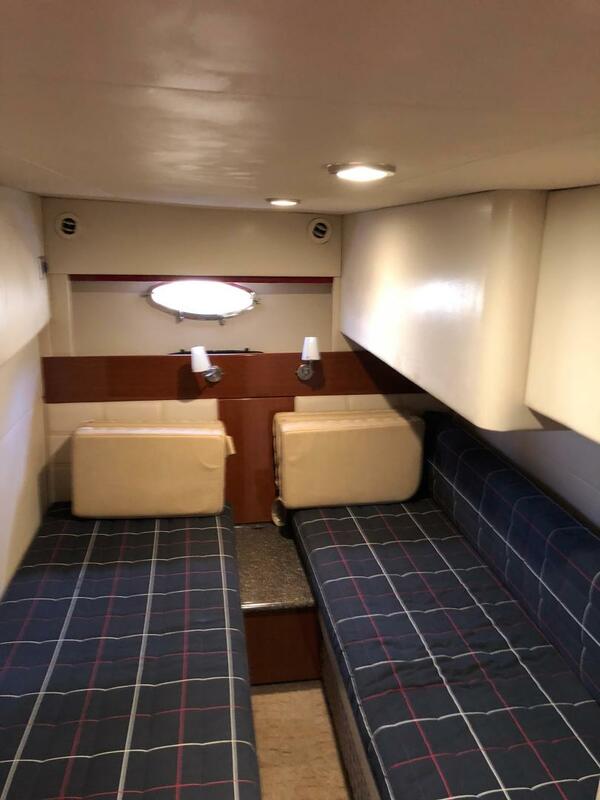 Upgraded entryway steps lead you to the cabin featuring the Ralph Lauren designer fabric package and American cherry salon flooring. 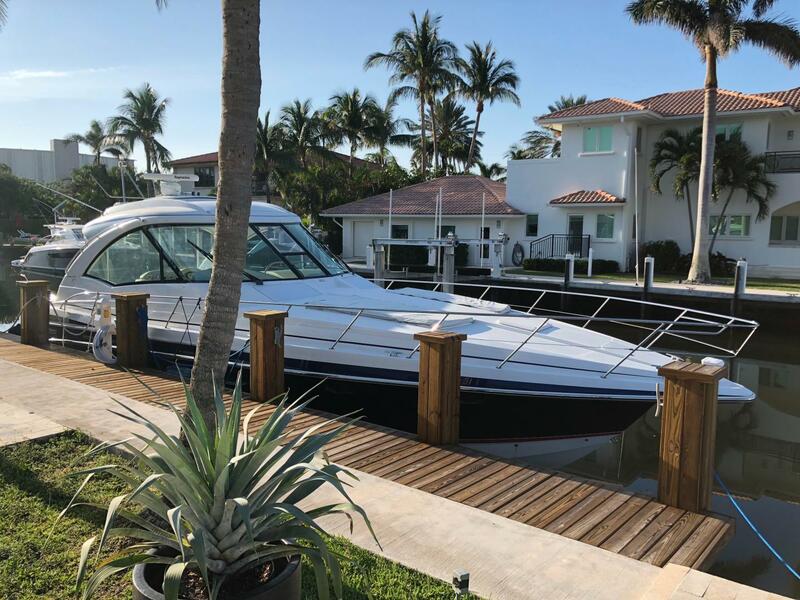 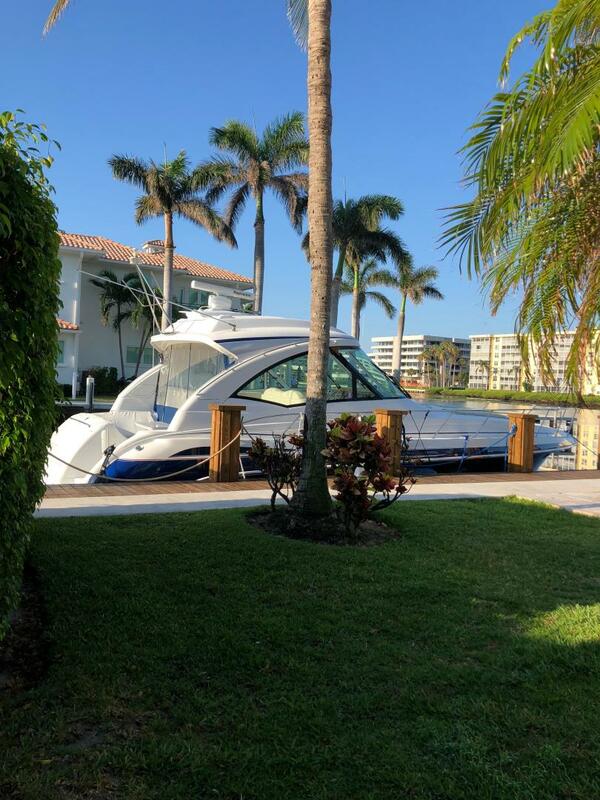 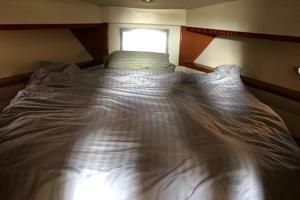 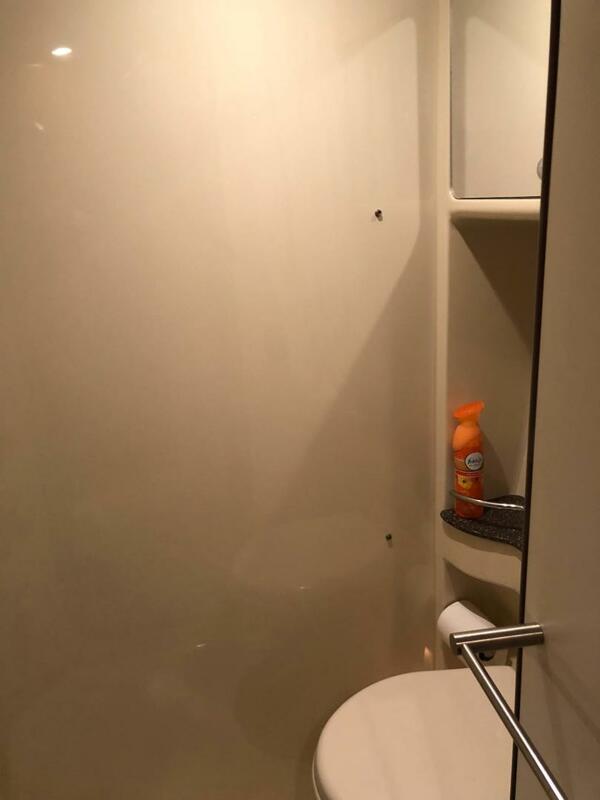 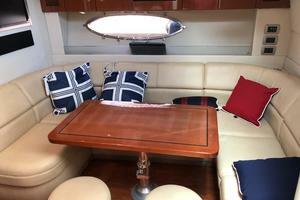 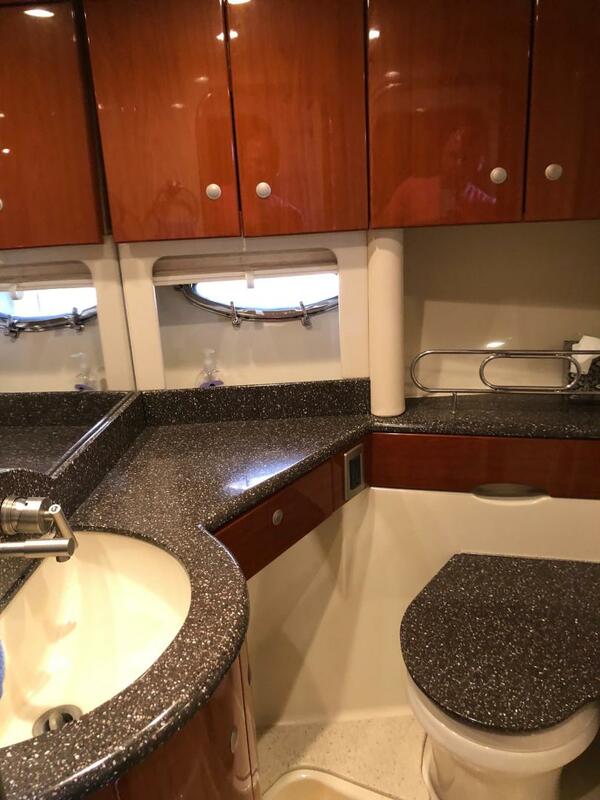 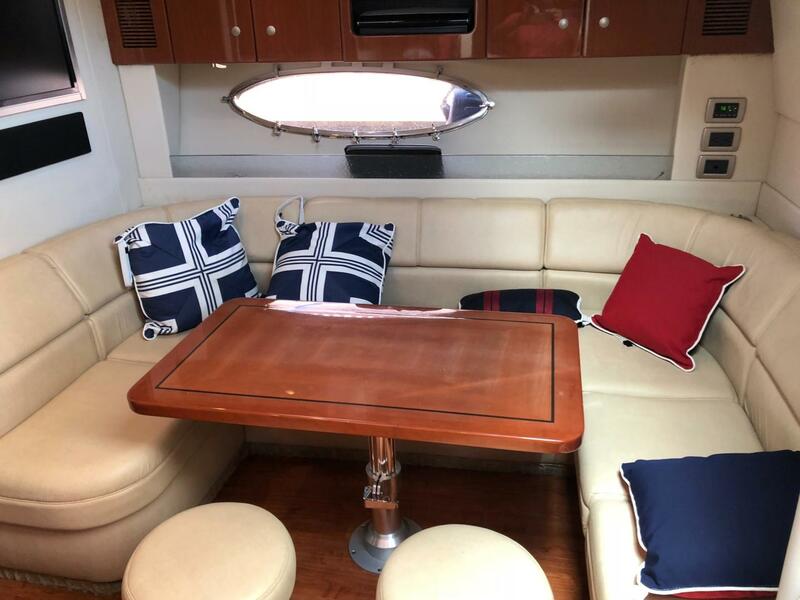 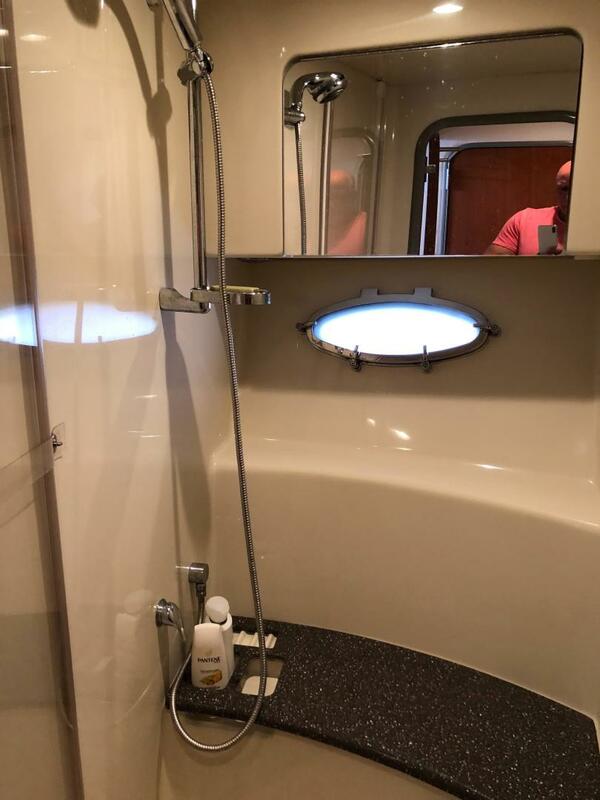 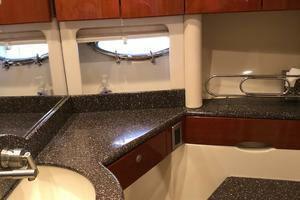 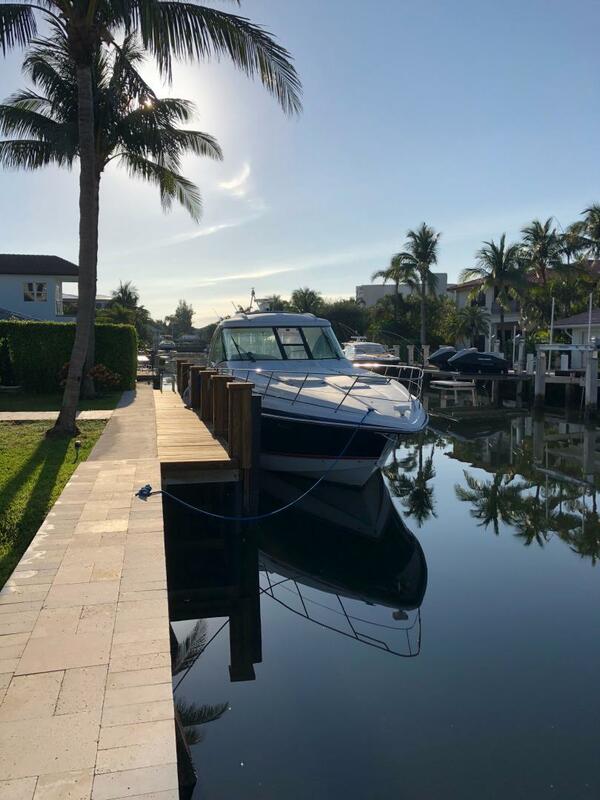 All accommodations are very tastefully executed and of special note is the master bath arrangement with the full size shower opposite the companionway from a beautifully appointed vanity area. 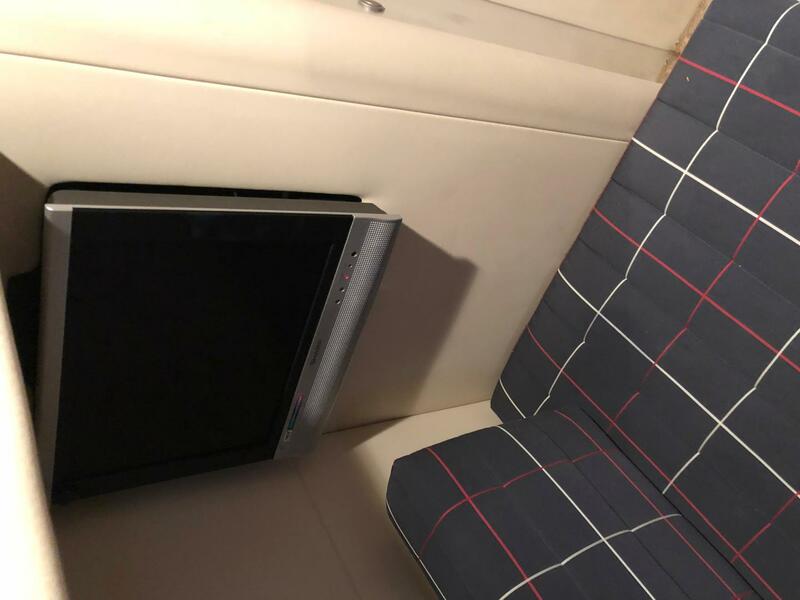 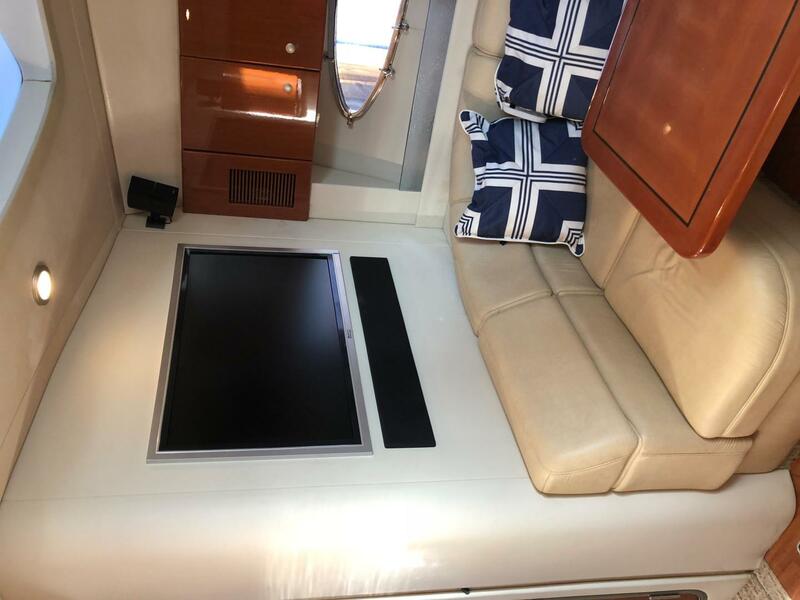 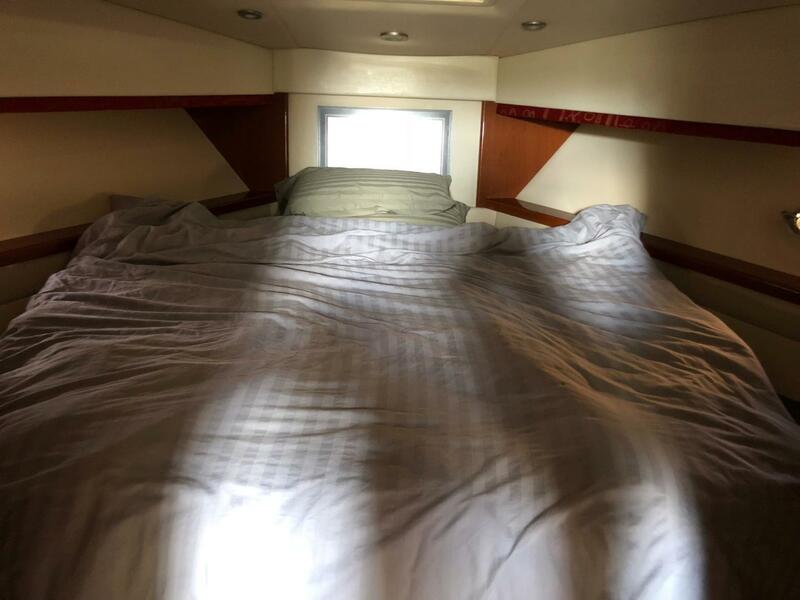 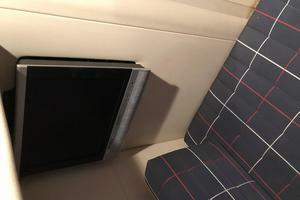 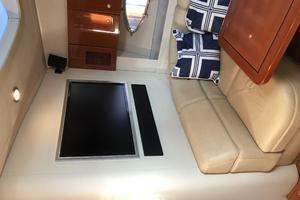 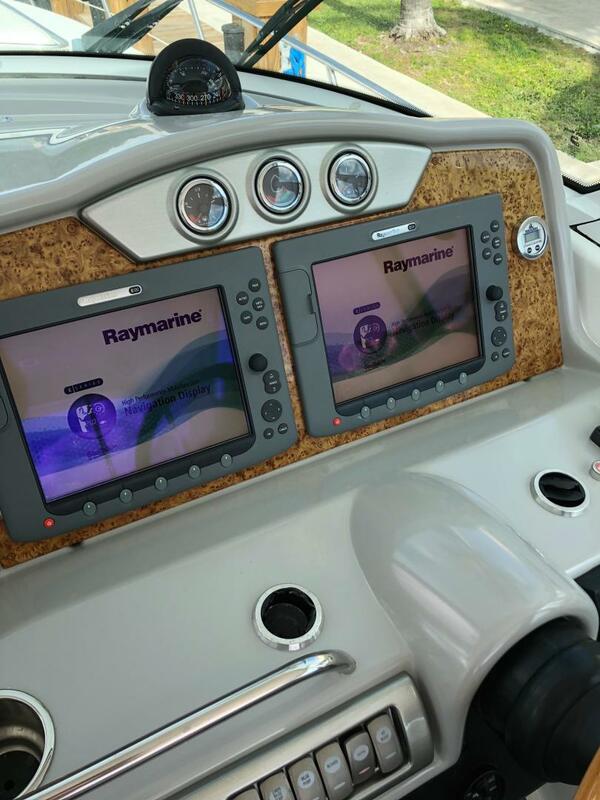 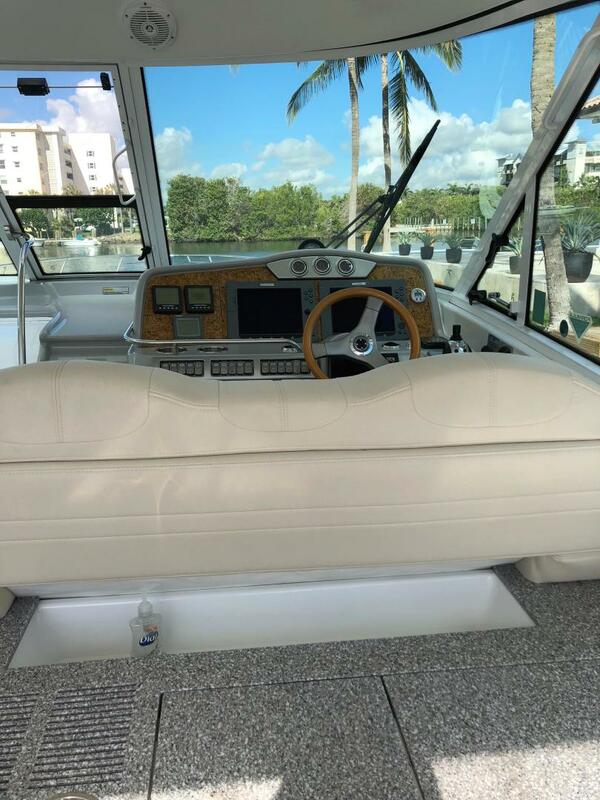 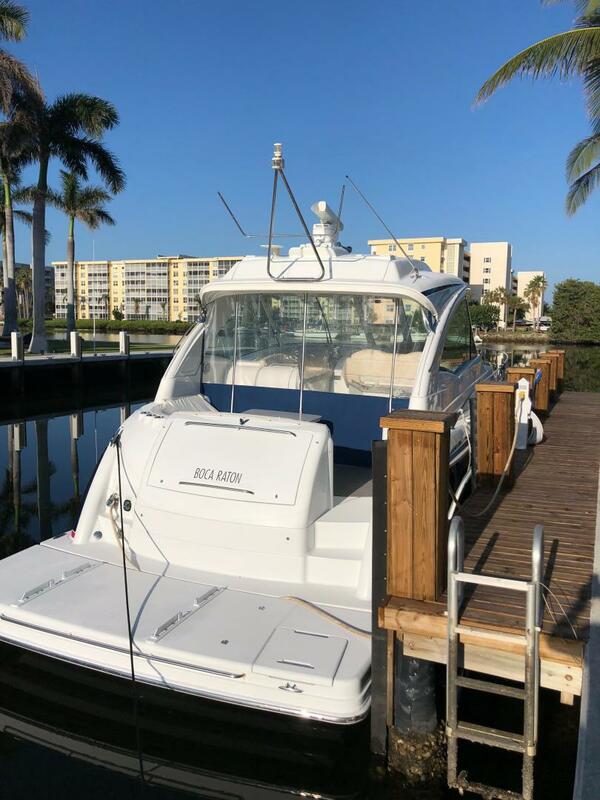 The master features a flatscreen television, two hanging lockers, under berth storage, stainless steel security safe, textured carpet underfoot, and bulkhead door for privacy. 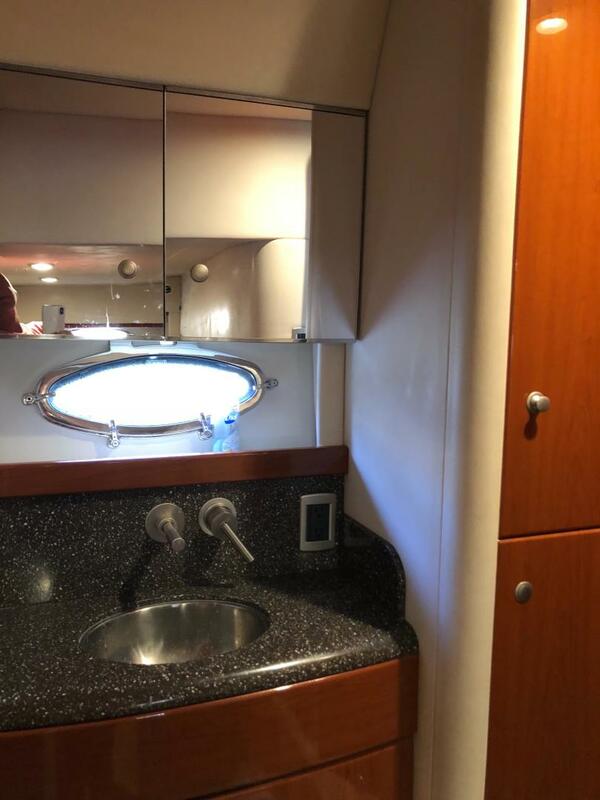 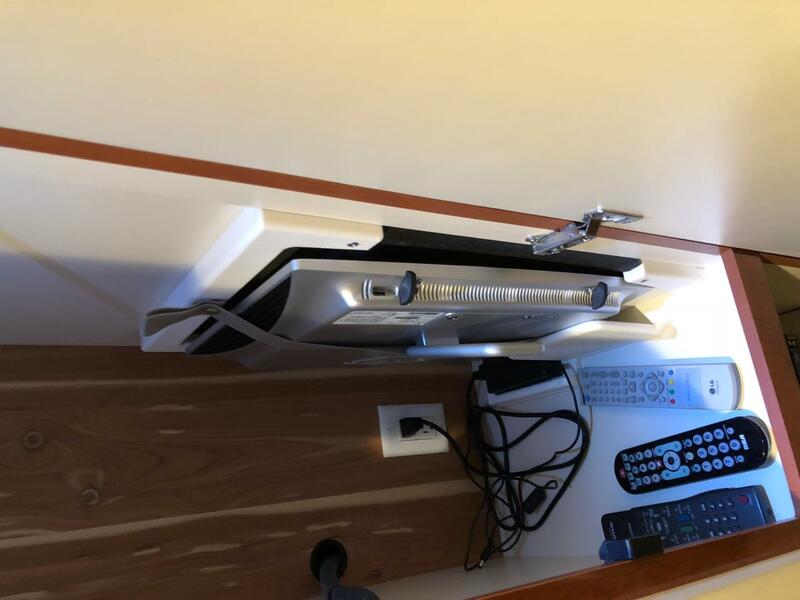 The VIP features two berths which can be converted to a queen, flatscreen television, mirrored hanging locker, private bath with separate vanity, textured carpet underfoot and bulkhead door for privacy. 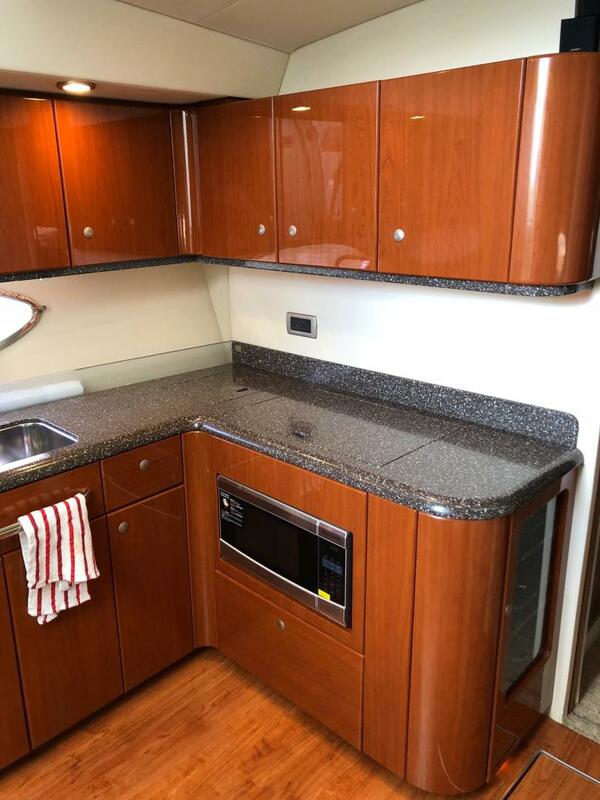 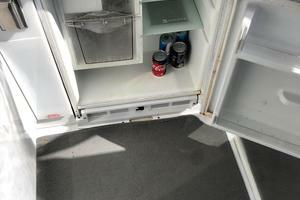 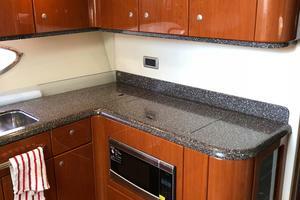 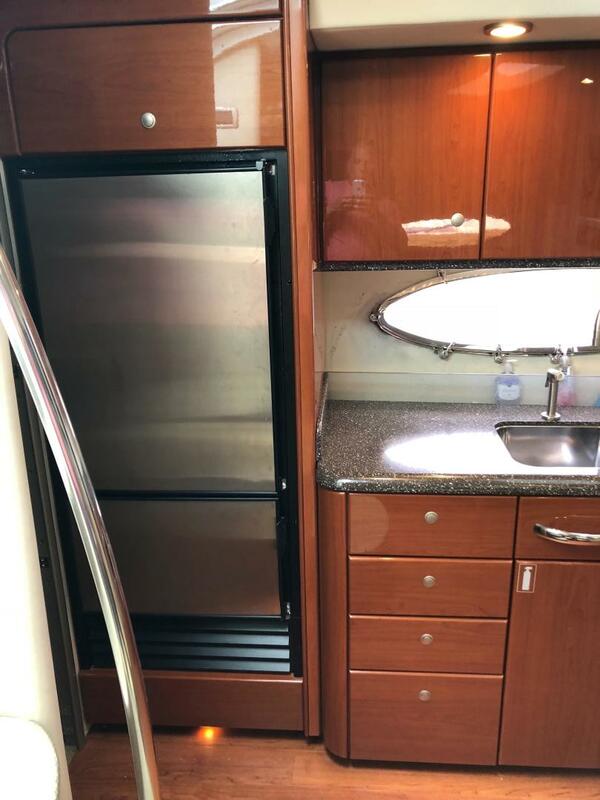 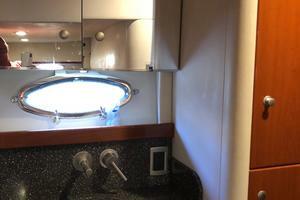 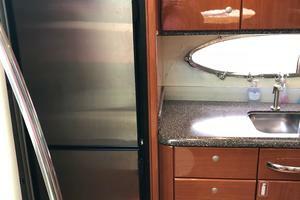 The galley is appointed as befits a vessel of this stature and features a brushed stainless refrigerator with separate freezer and a lighted showcase wine rack. 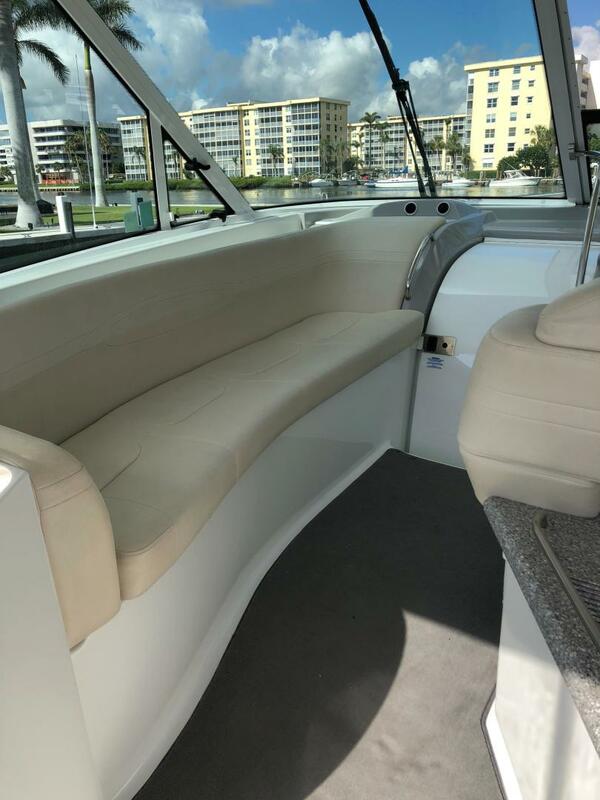 The salon offers a 37" flatscreen with Bose surround system and PC interface, convertible Ultraleather dinette seating, American cherry flooring underfoot, and over seven feet of headroom. 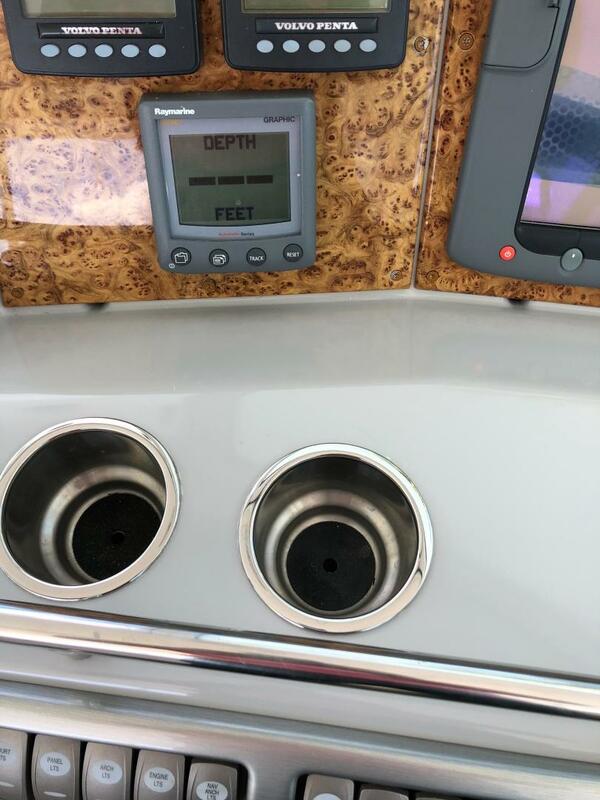 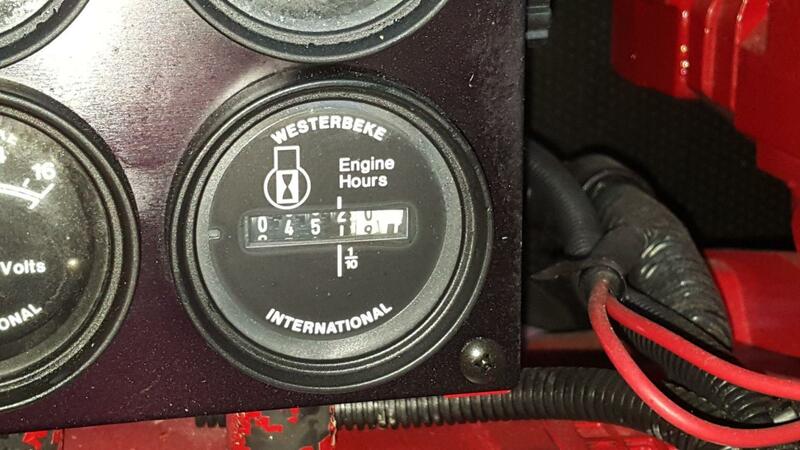 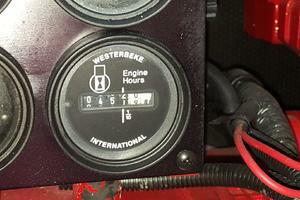 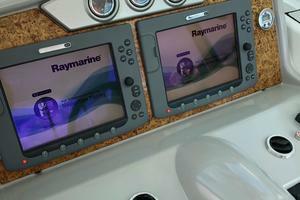 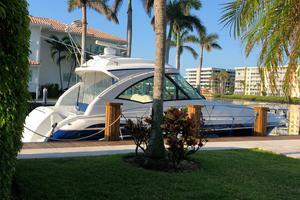 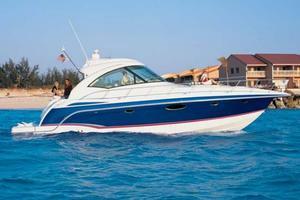 Our five hour inspection included a one hour seatrial with the boat performing flawlessly. 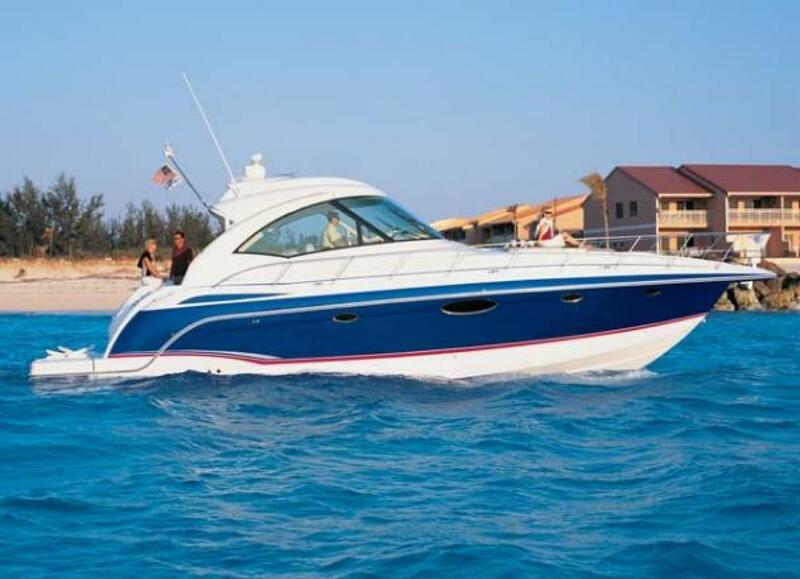 Nimble around the docks, sport boat handling while underway, extraordinarily quiet throughout the power curve, and very conservative fuel burn. 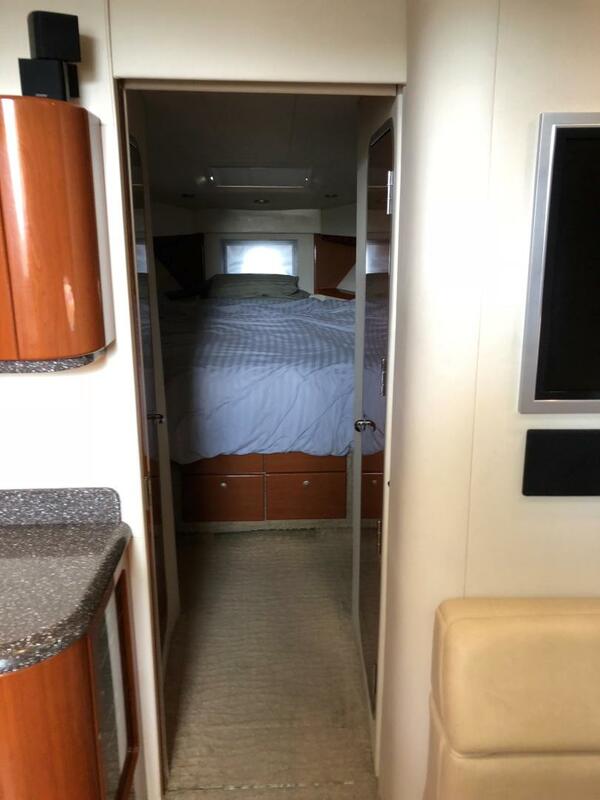 Truly luxurious forward cockpit accommodations enhanced by Ultraleather seating, cockpit air conditioning, retractable sunroof, audiophile quality sound system, and wireless flatscreen television. 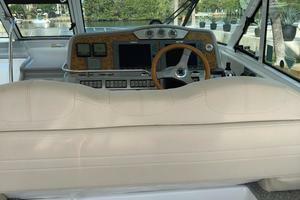 There is upgraded carpet underfoot with the original kept as spare, and over seven feet of headroom with the expansive windshield offering openness and excellent lines of sight. 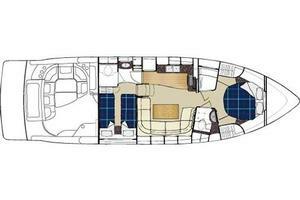 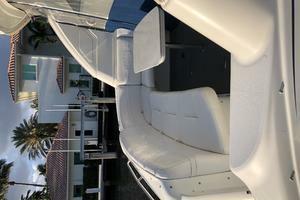 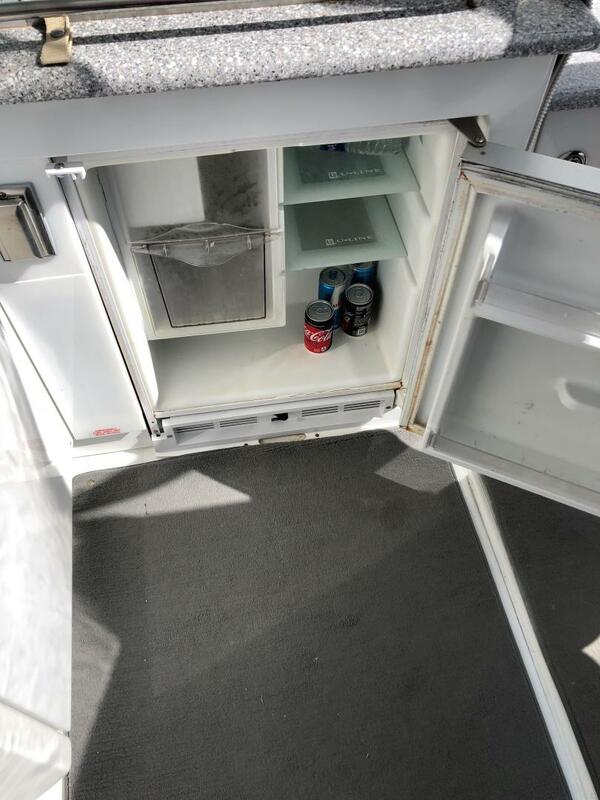 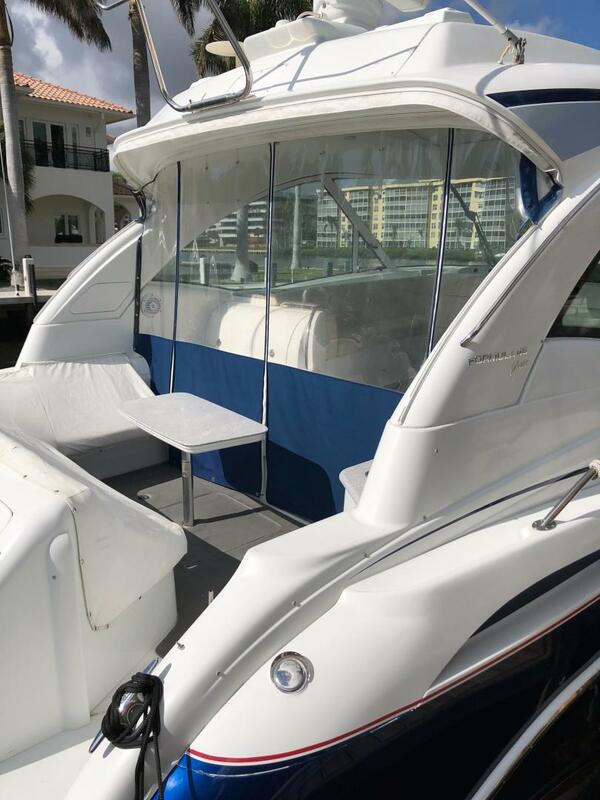 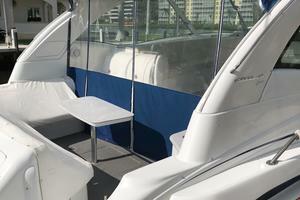 There is easy access forward through the over sized center door to the bow sunpads and ground tackle, and the aft cockpit features an L-shaped wet bar with abundant storage, icemaker/refrigerator combo, and convertible U-shaped seating with dedicated table and sunpad storage. 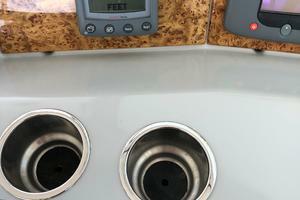 We will be happy to provide you with a list of standard equipment or you can visit the Formula website. 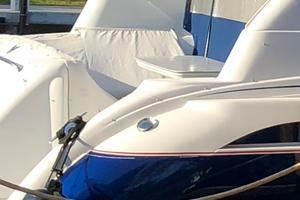 We'd be happy to provide the complete list of standard equipment, or if you prefer details can be found on the Formula Boats website.